The words of Fowokan George Kelly, described as an icon of black British arts movement. An artist whose work is rooted in the traditions of pre-colonial Africa and ancient Egypt, Fowowkan decided to become an artist while on a visit to Benin City, Nigeria, in the mid 1970s. Though he went there as a musician, he says he experienced a spiritual transformation and enlightenment, which continues to influence his work. 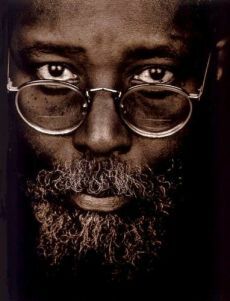 As Better than Good, an organisation which highlights the achievements of black artists in Britain, presents its inaugural event at the London South Bank University, Fowokan, whose name translates as ‘one who creates with the hand,’ will be sharing insights, influences and stories about his journey. In his own words, Fowokan explains why more people must embrace the African and traditional forms. Belinda: Your work is heavily influenced and rooted in pre-colonial Africa and ancient Egypt, which one could describe as the more traditional artistic expressions. What did you see and experience on your journey to Benin City, Edo State, Nigeria, that made you fall in love with the artistic and cultural expressions? Fowokan: I had fallen in love with the art of Benin when I first encountered the bronzes on a visit to the Horniman museum in London just after leaving school in 1960. What I experienced in Nigeria was the cultural and spiritual environment that produced such powerfully profound objects. Whether you call them art or not depends on your western perception, for certain they were produced primarily as spiritual or religious objects in their own environment. I also believe that Africans have not achieved that level of attainment in the visual arts since contact with Europe. Belinda: You have also travelled widely across other parts of Africa in your continued journey of exploring your cultural and spiritual heritage and you make mention of the religion, magic and ritual in your bio. How have all of these factors influenced your work as an artist over the years? Fowokan: For me the original purpose of art in all cultures is religious and therefore ritualistic and magical; magic in the true sense of the word. Striving to arrive at a traditional way of relating to art was my ambition when I first started creating these objects. Of course there are still vestiges of those early practices in existence in black Africa today. Belinda: Why is it important to you that the spiritual elements of your journeys and discoveries in Africa come through in the work you have produced as an artist through the years? Fowokan: Without the spiritual expression in the work, the work is dead and lifeless and of course the work does contain its own life force which one should be able to experience on encountering the work. Belinda: Do you believe you have succeeded in creating the space for your work to be recognised and respected within the UK artistic landscape and other places, where your work has travelled in spite of your determined effects not to follow the norm and expected of what this side of the Atlantic embraces as art? Fowokan: I do not know if I have literally created a space in that sense. I believe that the important thing is the creating of the work and the work will then create the space for itself. As for the UK artistic landscape, I have never been initiated into it. I have always been on the periphery of it, and so the ebb and flow of the “norm” has never affected me and what I do. Belinda: Your bio says “I deliberately chose not to be trained in western art institutions as I felt that these institutions could not teach me what I wanted to know.” Based on the fact that you have experienced many worlds and cultures, modern and traditional and have witnessed the divides and differences, how would you describe the current state of the art from the black British perspective in the UK today? Fowokan: Choosing not to be “trained in western art institutions” began when I first attended school in the UK at age fourteen. My favourite subject in school in Jamaica was art and so I was really excited to go to art classes in the fourth year of secondary school in the UK. On the third occasion I was busy painting what I knew best which were the memories of my homeland, Blue Mountains, palm trees and the blue Caribbean Sea. The teacher was so negative about what I was doing that I walked out of the classroom and gave up art for the remainder of my stay in the school. Years later I realised the reality of the unfortunate teacher’s predicament which was that, he could only teach me what he knew, which in this case, was the drab and foggy landscape of London of the late 50s. He could not teach me about what was nearest and dearest to me. 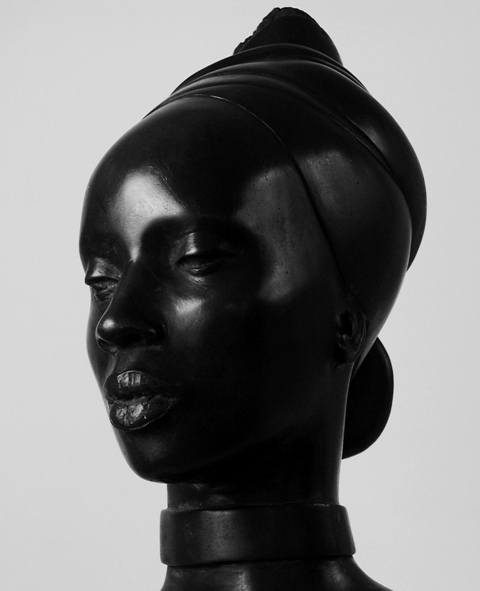 Black British art today is in a seminal state of development and it will take as much time to evolve as the black community takes to develop. Belinda: Do you think artists today from the black British community are more daring and take the risk that you have or is it more practical to go with the popular song in odder to break into the “quote-on quote” art world as it is known? Fowokan: Black artist are too anxious to break into the established art world before they have developed the ability and power to control what they produce, the process of defining themselves and the products of their endeavour. Belinda: You say “the encounter between the African and the European has brought about deep rooted spiritual and mental conflicts at the core of the African, along with the belief that the African is nothing more than “the reflection of a primitive and barbarous mentality.” In what ways has the African art and expression that you have fallen in love with over the years and continue to share with the world, succeeded in breaking down these barriers? Fowokan: The spiritual and mental conflicts may be seen in the disproportionately large numbers of blacks in mental institutions in the west; which can be traced directly to our low self-esteem engendered in the African psyche which is the result of the enslavement of our bodies and the colonisation of our minds. Belinda: Are the conflicts still as prevalent as they were in the early days? Belinda: You argue that there is a need to ‘see the eyes and hands of the contemporary artist, speaking in a new world with the voices of the ancestors; voices for so long silenced because in doing so, their art will offer new generations the opportunity to look again with fresh eyes, to see themselves in new ways.’ Are we close to achieving this goal? Belinda: The forthcoming event, organsied by Better than Good, is titled the Spiritual and Political Journey of an artist, what would you like the talk on the day to evoke in the audience about the African and traditional forms of art that you are a champion of? Fowokan: That it should be embraced if one hopes to embrace one’s self. Belinda: What new awakening do you want them to take away? Fowokan: That it will encourage the participants to take a new look at Africa and things African. This entry was posted on Friday, May 13th, 2011 at 5:17 pm	and is filed under Africa, Black Britain, Interviews, Journalism, People. You can follow any responses to this entry through the RSS 2.0 feed. You can leave a response, or trackback from your own site.